When it comes to home redecoration, there’s a lot of different things that have to be considered. The thing most people target is furniture. They consider what kind of furniture to change, what furniture they should keep, and what new style they may want. These are absolutely important things to consider, and it’s not a bad place to start at all. However, many people then go on to treat repainting as an easy choice. They figure they’ll simply go to the local hardware store, look at a few paint samples, and pick whichever paint color goes best. In their mind, picking the right paint color to match their furniture is as easy and simple as that. That is not the case! The real truth is that there are a huge variety of colors, and that’s before you even consider the different shades of each color. Many of these colors look different in different lighting, as well. So a color that looks like the perfect match when you look at it in the hardware store could easily have a completely different appearance when put in the lighting of your own home. It can become nearly impossible to correctly identify proper shading, when you get right down to it. 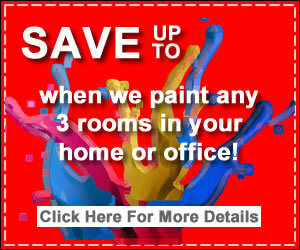 That’s why the absolute best way to match paint to your furniture is to call in a professional. A professional home decorating company offers three benefits when it comes to choosing the right paints, benefits that simply going down to the local hardware store simply doesn’t have. First and foremost, they come directly to your home. That alone does amazing things when it comes to choosing the right colors. They’ll be able to inspect your furniture in the lighting that it actually exists, and make a decision based on that. They also will be able to take in the whole of your furniture. Instead of just looking at a single pillow, they can see the pillow, the couch, the chair, and find a proper color to match it all instead of just one part. Second, they have access to a huge number of paint options. Certainly, a hardware store is happy to sell you paint. But they may not have the same array of options that a professional decorator will. Their job isn’t home decoration, after all. Their job is to sell you paint. Lastly, they’ll have the experience necessary to pick the right color. Naturally, there’s some amount of subjectivity when it comes to matching paint color to your furniture. You want to get something that you think looks nice. However, they have more experience helping to figure that out than a random hardware store employee might. For those reasons, it’s incredibly important to hire a professional when it comes time to picking the right paint color to match your furniture. Painting is a long term change, after all. You wouldn’t want to buy gallons of paint, only to find out it looks different in the lighting of your own home.